Together with Ruse (Bulgaria), Madrid (Spain), Turku (Finland), Munich (Germany), and Stockholm (Sweden), CIVITAS ECCENTRIC works on solutions for low-/zero-emission urban freight logistics and bringing sustainable urban mobility to suburban districts. City representatives are invited to come the Swedish capital and learn about the selection, development, and implementation of sustainable urban mobility measures from cities currently going through these processes. Participants will also receive practical advice and support on how to begin and develop plans for their own urban mobility measures and how to prioritise measures as part of a Sustainable Urban Mobility Plan (SUMP). The City of Stockholm is hosting the workshop directly before the CIVITAS Forum 2018, which is taking place in Umeå, Sweden from 19 - 21 September. A section of the replication workshop will take place on the train to Umeå – the workshop is a prime opportunity for participants of the Forum to gain hands-on training on sustainable urban mobility. To discover more on CIVITAS ECCENTRIC, click here. 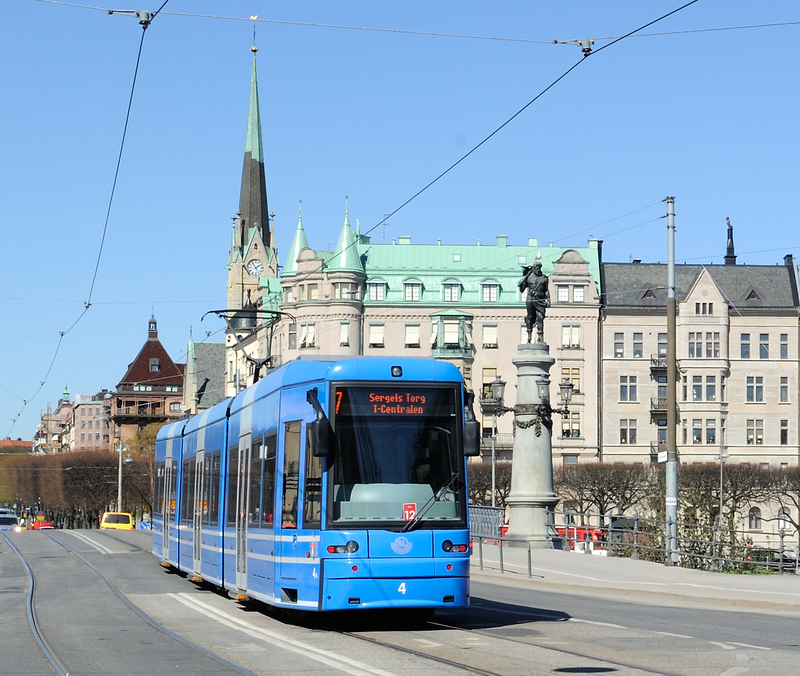 Image credit: An A34 tram on line 7 at Djurgårdsbron from Wikimedia Commons by Tim Adams under CC BY 3.0.